Opened in 1937 as the Modernistic, this movie house was built in Art Moderne style on Seminary Avenue. The theater was the first movie theater south of Chicago to show movies with sound(a talkie). A few years after it opened, the theater's name was shortened to the Modern. In the late 40s, it was acquired by the Kerasotes chain, which renamed the theater by shortening its name once again, as the Mode. In July of 2008 the Lizzios took ownership of the Onarga Theater. They are always making improvements. Many new changes followed. They added many new concession products, including candy, soft pretzels, fresh carmel corn, and cotton candy. A new popcorn machine was purchased and new larger popping popcorn and a better quality oil. Theater size candy was added and the family tub of popcorn. They also created uniforms for all of the employees to make it easier for customers of the theater to locate a employee. November 2010 All new surround system installed, new digital processor installed, a subwoofer added to the system. Also installed 4 new amplifiers which doubles the old system. The sound is a huge improvement over the old system, and is now up to date with the current systems of today we hope you will come over and hear for yourself. The marquee had all new lighting and signs installed. A new digital sign was installed outside to let people know what the upcoming movies are. A new ceiling in the concession, along with a lighted menu board, new ceiling lighting and a POS system to make concession sales go faster and get you to your seats. All new seat covers for the theater to replace the worn covers and add more comfort! We offer quality food, and film entertainment that you cannot find in a large chain theater. Its a experience at the Onarga not jus a movie. Come on over to the Onarga theater, and support one of the few single screen privately owned theaters left. We are always improving things and updating. Thank-you ahead of time for supporting the Onarga Theater. The Onarga theater is currently owned by Randy and Cheryl Lizzio of Onarga. 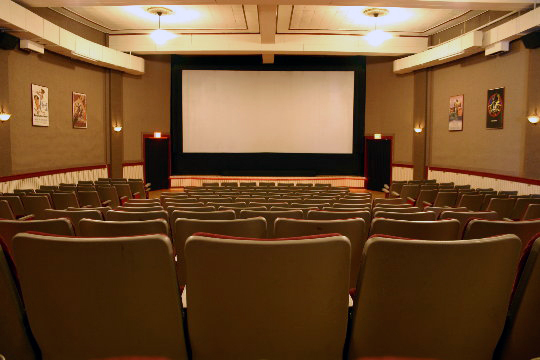 The theater is run by a well trained team of employees willing to help you to enjoy your evening in any way possible. Please feel free to enjoy this small town gem and join us at the movies this weekend!